The genesis of this trip was a friend telling me about a group tour of Iceland that several friends were going on and asking if I wanted to go or not. Of course the tour wanted to sell us airfare and options using points and miles aren’t all that plentiful, especially if fixed dates are involved. 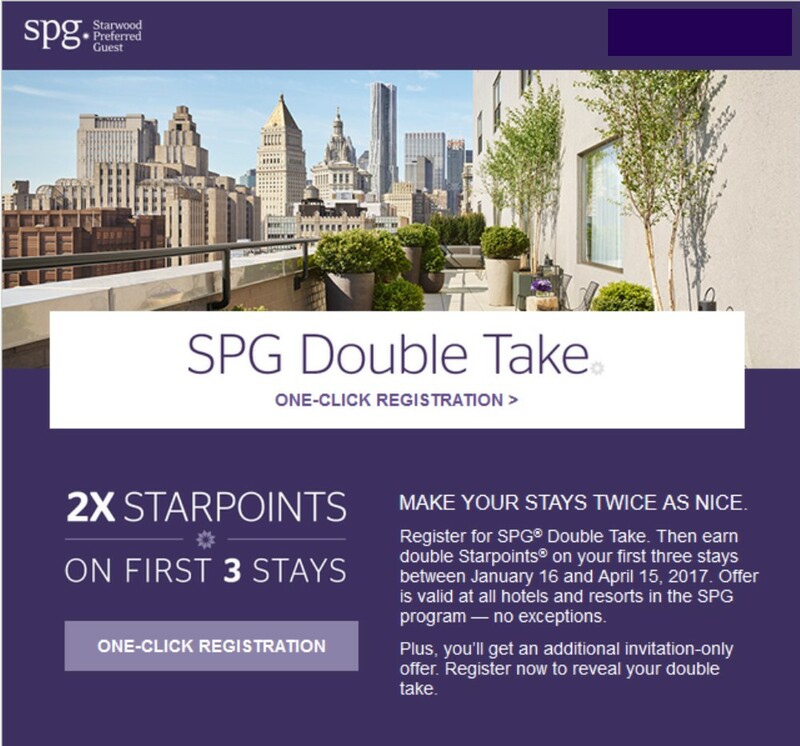 Increased SPG Card Sign-Up Bonus! Starwood Preferred Group (SPG) Starpoints are among the most flexible currencies on the market, which is why both Ben of One Mile At A Time and Brian, The Points Guy, value them at over 2 cents apiece. About once a year they offer an increased sign-up bonus and that time is now! 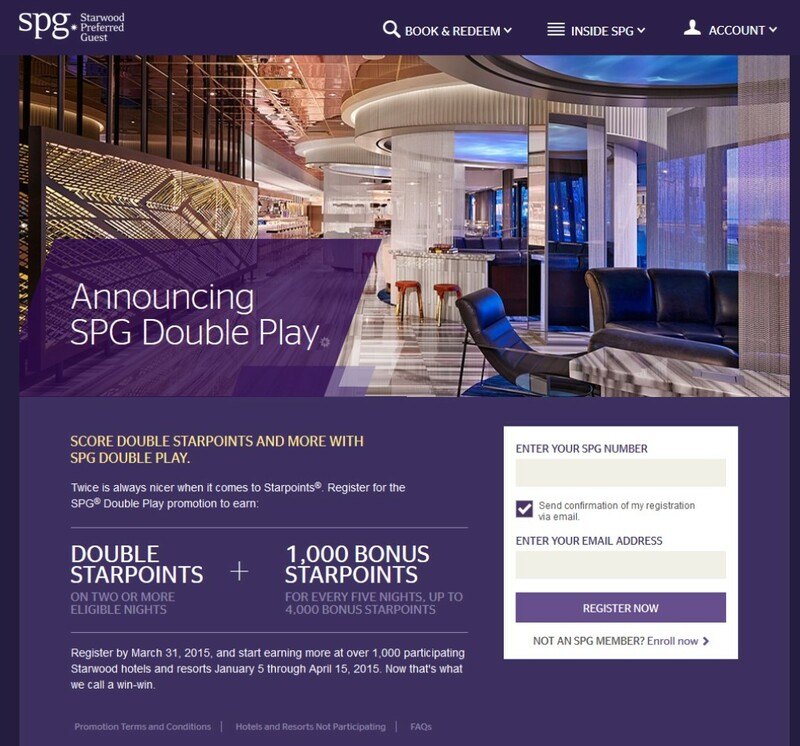 In addition to using these points at SPG hotels, they can be transferred to over two dozen airlines at a 1:1 ratio – and if you transfer 20K points at a time they’ll tack on a bonus 5K points! Other airlines are available at less favorable ratios. 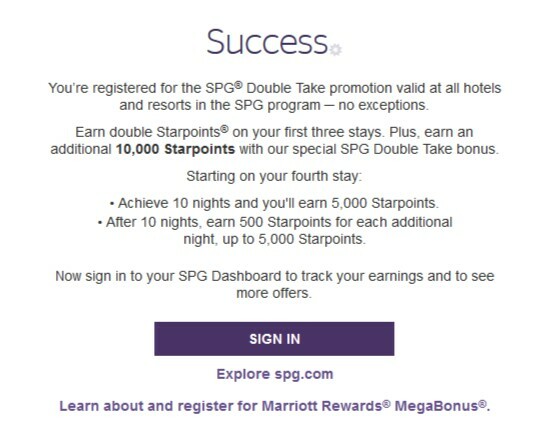 SPG points can also be transferred to Marriott at a 1:3 ratio (1 SPG = 3 Marriott) and used either for stays at Marriott hotels or transfer them to other airlines. The Air New Zealand transfer rate is a horrific 65 SPG points = 1 Air New Zealand Airpoint so you want to make that a transfer of last resort. GOL Smiles and United MileagePlus both transfer at a rate of 2 SPG points = 1 frequent flyer mile. Might do in a pinch but again, you’d try to avoid it. Since LATAM uses kilometers for their currency the transfer rate is 1 SPG point = 1.5 LATAM Pass mile. If you choose to transfer your points to Marriott, they are best used at Marriott properties but they can be transferred to airlines as well. However the airline transfers are usually at a terrible transfer rate so I do not recommend this method. 25,000 bonus Starpoints after using the new Card to make $3,000 in purchases within the first 3 months and an extra 10,000 bonus Starpoints after making an additional $2,000 in purchases within the first 6 months. That’s a maximum of 35K Starpoints which is the biggest bonus ever for this card. Note that those “first 3 months” and “first 6 months” are dated from the date of approval, NOT the day you activate the card. The card has no foreign transaction fees and the annual fee of $95 is waived for the first year. There are business and personal versions of this card though I can only refer you for the personal card. If you allow me to refer you and are approved, I will receive a 5,000 point bonus for doing so. Just drop me an email at 2btraveling@gmail.com. All I need is your first name and an email address! Earn 2x Starpoints on your first three stays at ANY hotel in the SPG program from January 16 through April 15, 2017. Once you register you’ll get a special offer tailored just to you. As you can see, mine was to earn an additional 10,000 Starpoints. This would be a fantastic offer if I had planned paid stays for the first few months of 2017. Unfortunately I doubt I’ll be able to take advantage of this offer. What was your special offer? Starwood Preferred Group is the hotel group for hotel brands like Sheraton, St. Regis, Westin, Four Points, Le Meridian, aloft, element and W Hotels. 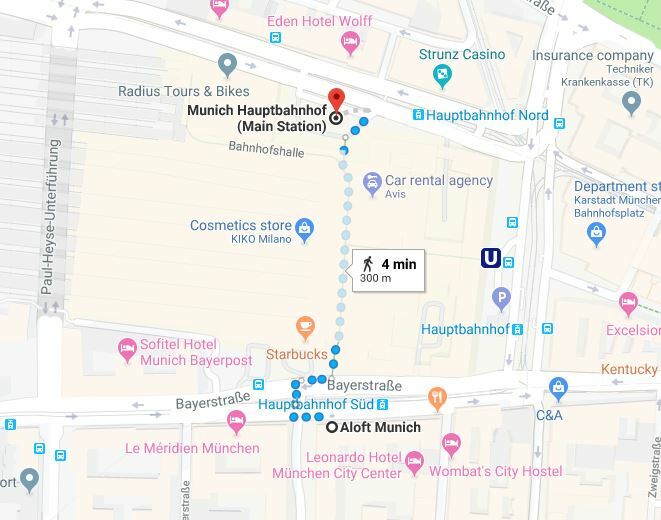 While Starpoints are incredibly valuable, they’re not necessarily easy to earn, other than by staying at one of the hotels. Right now Starwood is running a promotion where you can earn 1000 Starpoints for every weekend stay between now and August 31, 2015. All you need to do is register and start collecting bonus points. A weekend stay is defined as a Friday, Saturday or Sunday night, except in the Middle East where it’s defined as a Thursday, Friday or Saturday night. Most of these partners transfer at a 1:1 ratio. The exceptions are Air New Zealand (65:1), LAN Airlines (1:1.5) and United Airlines (2:1). Obviously you want to stay away from transferring to Air NZ and United unless you’re desperate to top off an award. 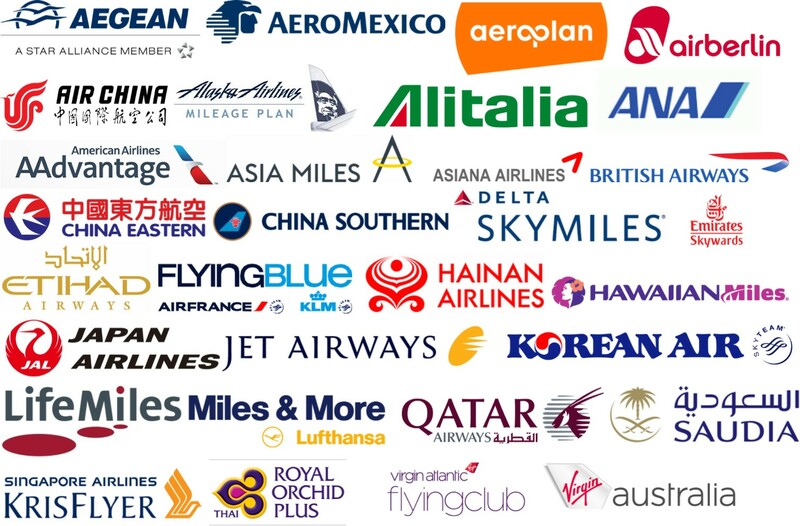 In addition, most of the airlines offer a 5,000 point bonus when you transfer 20,000 Starpoints. So 20,000 Starpoints becomes 25,000 American Airlines miles after the transfer. That’s a great deal if you have plans for redeeming your AAdvantage miles. It’s not worth making a speculative transfer because the main thing that makes Starpoints so valuable is their flexibility. Starpoint transfers are not instant, so if you find seats on the flights you want, put them on hold until the transfer is completed. The terms and conditions state it may take up to 7 business days for the points to transfer. That can be an eternity when you’re trying to get the last award seat or two on your flight, so plan accordingly. Note that that 5,000 point bonus is awarded only when 20,000 points (or more) is transferred in the same transaction. So you can’t transfer 5,000 points today and 15,000 points tomorrow and expect to get the bonus. Starwood allows a max of 79,999 points to be transferred in a single transaction. Both the SPG account and the airline account must have identical names. All transfers are one-way, non-reversible and non-refundable. 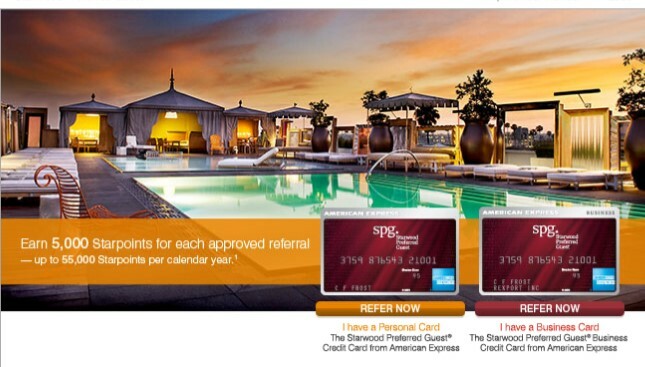 One way to rack up Starpoints quickly is with the SPG American Express card. Simply make $3000 in purchases in the first three months and you’ll earn 25,000 Starpoints – which will translate to 35,000 American AAdvantage miles if you earn the points quickly enough for the offer above. Otherwise, they will still be worth 30,000 miles on most airlines or you can use them at one of the hundreds of SPG hotels worldwide. If you allow me to refer you for the card, I’ll receive a 5,000 Starpoint bonus if you are approved. Just send me your email address to 2btraveling@gmail.com and I’ll be happy to refer you. What’s better for airline points than the credit card tied to a particular airline? The Starwood Preferred Guest Credit Card from American Express. While it doesn’t have bonus categories for everyday purchases (though you do get 2x points at SPG hotels) the great thing about SPG points are their versatility. For some airlines you can transfer SPG points to the airline at a 1:1 ratio. BUT, if you transfer 20,000 points they’ll give you a 5,000 point bonus and you’ll end up with 25,000 airline points! 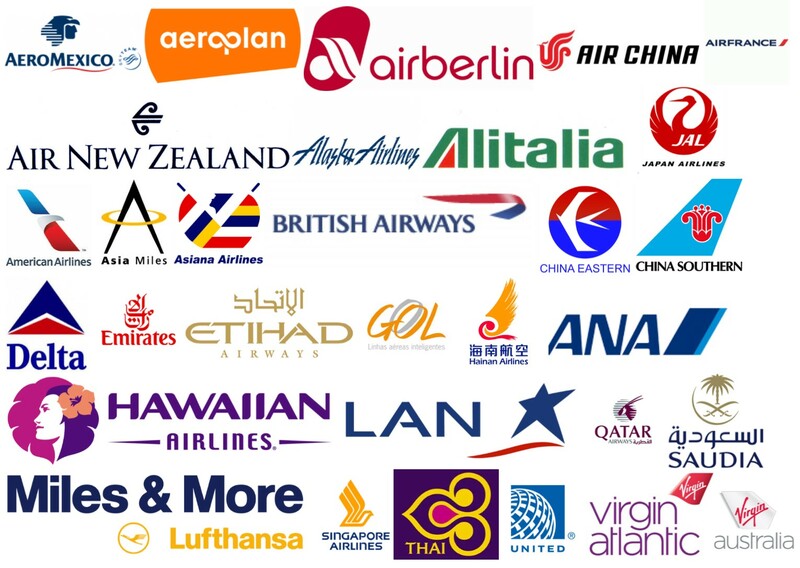 There’s a huge list of airlines including: AeroMexico, Aeroplan (Air Canada), Air Berlin, Air China, Air France/KLM, Alaska, Alitalia, All Nippon Airways (ANA), American, Asia Miles (Cathay Pacific), Asiana, British Airways, China Eastern, China Southern, Delta, Emirates, Etihad, Gol, Hainan, Hawaiian, Japan (JAL), Miles & More (Lufthansa/SWISS), Qatar, Saudi Arabia Airlines, Singapore, Thai Airways, US Airways, Virgin Atlantic and Virgin Australia. They also transfer to LAN Airlines at a rate of 1:1.5. Do not transfer to United (2:1) or Air New Zealand (65:1) as they have bad (UA) or horrible (NZ) transfer rates. Of course since Starpoints are the currnecy of SPG hotels, they can also be used for free or discounted rooms. Category 1 hotels are just 3,000 points per night, meaning this card could get you a free room for 8 nights just with the signup bonus! SPG properties include: St. Regis, The Luxury Collection, W Hotels, Le Meridien, Westin, Sheraton, aloft, element and Four Points. Don’t have enough points to cover your stay? No problem with the cash + points option where you can use points to discount the cost of the room. You can also use points to upgrade to larger rooms or suites, or even for nights at Caesars Entertainment hotels like Caesar’s Palace, Harrah’s, Bally’s, Flamingo, Harvey’s, Nobu Hotel, Paris Las Vegas, Planet Hollywood, The Quad and Rio hotels. If you’ll allow me to refer you for this credit card you’ll get 10,000 Starpoints after your first purchase and 15,000 Starpoints when you spend $5000 in the first 6 months of owning the card. (As always, if you do not pay off your credit card bills each month, DO NOT apply for a new card!) In addition, I will receive a bonus of 5,000 Starpoints. To do the referral I’ll need your first and last names and your email address. You can email them to me at 2btraveling@gmail.com. I appreciate your support!